Hear a song from one of the Harvey benefit concerts Kermit is performing. 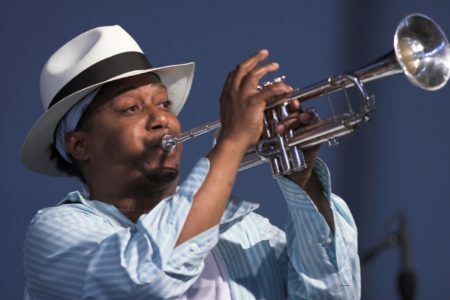 New Orleans Jazz Trumpeter Kermit Ruffins first came to Houston in the 1990’s to record with Justice Records. 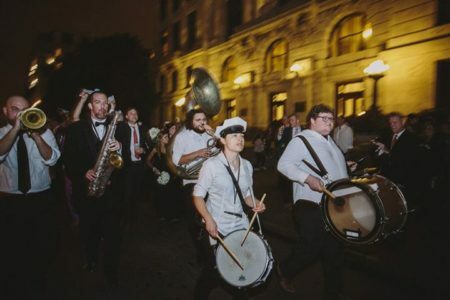 After Hurricane Katrina, he and several other musicians came back to Houston for an extended stay. Eventually, he met the and married a Houstonian and now Kermit splits his time between Houston and New Orleans when he’s not on tour. This song is a sample from his concert last night, the 2nd of 3 nights of benefit concerts that Kermit is performing at the bar Axelrad.